Puppy Pairs is a fun 4 player game you can play with anyone above the age of 6! 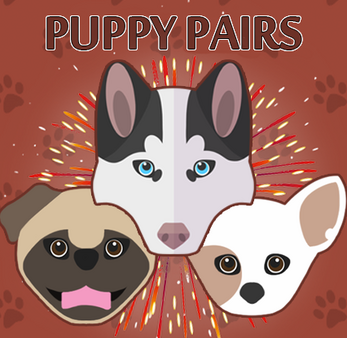 Enjoy a competitive breeding game where you need to collect pairs of dogs to sell their puppies for profits. Watch out for those action cards though, they can stunt your progress and stop you from reaching your goal of 20 coins. If you enjoy games such as go fish you will love this one! Give it a play and tell us how it goes! 1. Download all 3 files, print the cards (double sided) on A3 paper double sided and cut them out. 2. Print the coins on A3 paper single sided, you will need about 4 pages of coins. 3. Finally print the rules out on a single A4 piece of paper and give them a good read!